The 30″ Safety Bar is available online in stainless steel or powder-coated white, but other metal finishes such as brass, oil-rubbed bronze or brushed nickel are available, and we can match your safety bars to any accent color you wish. 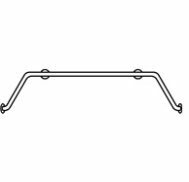 This 30″ Safety Bar has a 1 1/4″ diameter and meets all ADA guidelines and most industry safety standards. 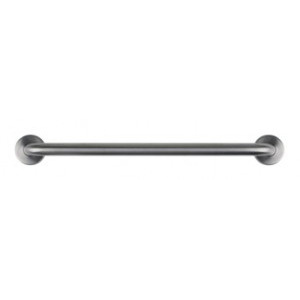 This shower grab bar provides maximum safety with integrated beauty.